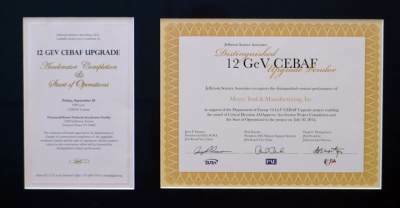 Meyer Tool Recognized as Distinguished 12 GeV CEBAF Upgrade Vendor - Meyer Tool & Mfg. The 12 GeV Upgrade will greatly expand the research capabilities of Jefferson Lab, adding a fourth experimental hall, upgrading existing halls and doubling the power of the lab's accelerator. Jefferson Science Associates recognized Meyer Tool & Mfg., Inc.’s distinguished contract performance in support of the Department of Energy’s 12 GeV CEBAF Upgrade project enabling the award of Critical Decision 4A to the project on July 30, 2014. On Friday, September 26, 2014, the Thomas Jefferson National Accelerator Facility (JLab) hosted a ceremony to celebrate Department of Energy approval of the 12 GeV CEBAF Upgrade Accelerator construction completion and start of operations. The governor of Virginia, Terry McAuliffe, was scheduled to speak at the event. Eleven vendors, including Meyer Tool, were honored for their distinguished contract performance critical to the construction effort. A reception immediately followed. Meyer Tool was awarded three contracts involving components for the ten new Renascence Cryomodules installed in the accelerator. These projects encompassed the manufacture of vacuum vessels, the 50K thermal shields and the cryogenic circuits subassemblies. 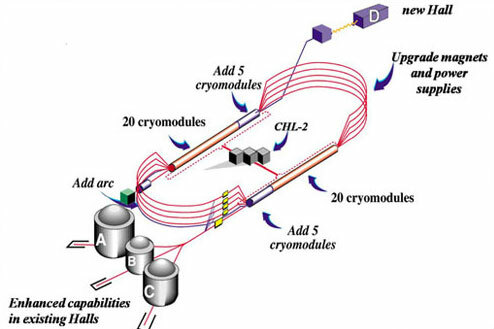 The cryomodule cryogenic circuits are internal helium piping subassemblies. The circuits were fabricated to the ASME B31.3 Pressure Piping Code. With both a Certified Weld Inspector and ASME Section IX qualified welders on staff, we were able to utilize our weld procedure specifications qualified for liquid helium temperatures to weld the seamless stainless steel piping. All subassemblies were successfully liquid nitrogen cold shocked and helium leak tested. The cryomodule 50K thermal shields were laser cut and formed copper shields requiring ASME Section IX brazing. Unlike previous CEBAF 50K thermal shields, these shields were formed in faceted rather than cylindrical sections. Again our certified welders performed this function following cryogenically qualified brazing procedure specifications. All brazed pressure assemblies were successfully liquid nitrogen cold shocked and helium leak tested. The cryomodule vacuum vessels are 32" diameter by 25 foot long stainless steel weldments that required post weld machining of critical features. The vacuum vessels were designed by Jefferson Lab to meet the intent of the ASME Boiler and Pressure Vessel Code Section VIII Division 1. Features of the vessels including weld sizes were redesigned to meet the Code requirements. Meyer Tool’s extensive experience in building ASME code pressure vessels and large post-weld machined vacuum vessels made us uniquely qualified to execute this project. Meyer Tool is proud to be acknowledged for providing exceptional service and quality components. 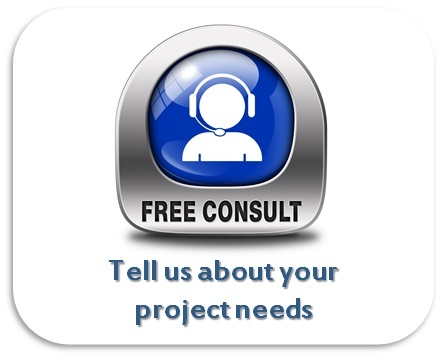 As with all projects we tackle, we worked to Reduce Project Risk, effectively resolving a variety of design and fabrication challenges to meet customer needs, providing fully functioning components while achieving the lowest total cost of ownership. We are proud to be able to make a difference to the world around us, both in these high value Department of Energy projects, as well as in technically complex projects for innovative leaders across our national lab, university and industrial customer base. We value the trust our customers place in us to get the job done. We truly appreciate this recognition of our continued success. 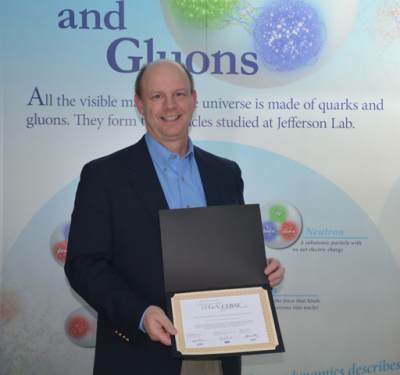 Ed Bonnema receives award certificate from Jefferson Science Associates at JLab ceremony.